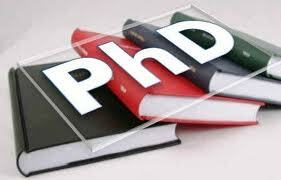 Dissertation is the final step in students’ education. There are a lot of reasons why students want to write a dissertation. It can be their dream of final stage in research, it can be a desire to contribute to the modern knowledge, and it also can be a way to achieve some academic or professional heights. No matter what purposes people pursue, they have to start their dissertation search with the topic choice. Initially, it will be a field of knowledge. However, in the future, it will become a structured and specific point for analysis. When searching for your topic, you need understand what exactly you are looking for. Here are the criteria you need to follow in order to compose a topic, which meets the social needs. Of course, sometimes you may be given a title without any additional attempts; however, you still should make sure that it corresponds to the criteria, discussed below. Having understood the main criteria any of your dissertation topics should meet, you need to understand what particular steps you need to follow in order to compose a strong topic for your research. You should start your research much before writing a dissertation, because only having conducted it you will be able to understand how to direct your dissertation search. Check the tips below. Overall, dissertation writing may be pleasure for you, but you have to accomplish many stages before getting down to writing. The better your preparation stage it, the easier your writing process will be. Keep this in mind when starting writing. At the same time, you need to understand that the half success of your dissertation depends on the choice you make. Your title creates the first impression and you should be strong in your choice.